How exactly should a reform movement like ACI view the Catechism and defined doctrine in the Catholic Church? Is there a danger that – if the Catechism is not prioritised – the ‘reform’ programme would come to diverge so far from the Church’s defined teaching that it could no longer be called ‘Catholic’? Here Aidan Hart takes this question on – by reminding us that historically the experience of God as a liberating, loving and binding power preceded the defining and systematisation of theological ideas – the Catechism. The Israelites first became aware of God through their lived experience of His/Her acts of unconditional love towards them. That Love liberated them from the slavery, suffering, poverty and marginalisation they were experiencing in Egypt. That same Love guided them and fed them on their tortuous journey to the Promised Land of Canaan. At the making of the covenant on Mt. Sinai they experienced God’s love for them as covenant love, based on mutuality and compassionate outreach to others. The two movements of mutuality and outreach meant that the Israelites were destined to be God’s blessing to the whole of humanity and creation. The prophets critiqued their openness and response to their experience of God’s love. Throughout the Old Testament the Israelites experienced the self-revelations of God through how He acted among them. He constantly reached out to them, set them free, forgave their sins and human failings and directed their actions to practical love for the neglected and marginalised in society. Through these lived experiences the Jews slowly, and not always linearly, came to knowledge of God as unconditionally loving and compassionate. God’s gift to humanity of the complete revelation of Himself then came through the experience by early first century Palestinian Jews of Jesus the Christ, divine Son of God who became fully human and walked among them. He healed the sick, raised the dead to life, fed the hungry, forgave sins, died on a cross, resurrected from the dead and finally ascended back to heaven. His teachings shocked the political and religious establishment by being inclusive of everyone and not going through official channels. 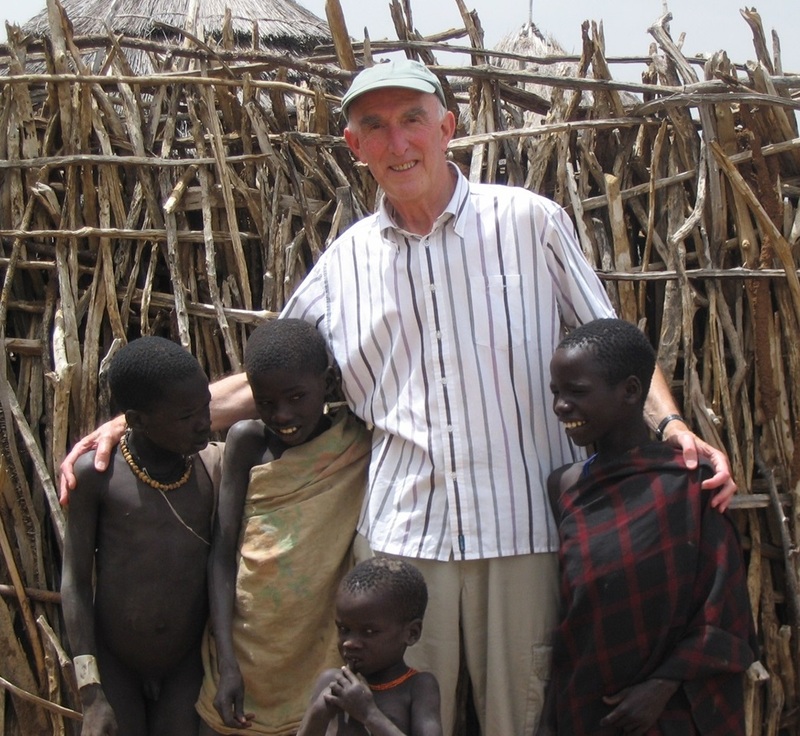 His catechetical method was to give those who approached Him an experience of God’s healing, compassionate, forgiving and accepting love and then to teach them. “Do this in memory of me” was Jesus’ invitation to His new community, and through them to all future members of that community, to make-present-through-remembrance a redeeming experience of divine, redeeming love in a Eucharistic meal. First came the experience! The biblical approach to faith, based on first experiencing God’s love, often mediated through other human beings, and before attempting to define it, is both catechetically and psychologically sound. It is how human love develops – as all family members, courting couples and married people (in fact all those in loving relationships) will attest. It starts with experiences which touch the emotions, then the will and then develops through many further stages and rational processes. This applies to young and old, to the religious catechesis of children, teenagers and adults. Love, awe, wonder, joy, beauty and participation are an essential part of early religious experience. Hence the importance of a loving family and caring parish community, of experiencing joy and Spirit-filled Eucharistic worship and other liturgies which actively involve all those present and touch the emotions, as well as the mind. It is also important for children to experience meaningful family para-liturgies in the home which involve parents and children religiously, joyfully and creatively celebrating birthdays, Christmas, Easter and other important occasions. Religion is then experienced as a normal part of family life. It is also important for them to experience the family reaching out in loving, practical service to others in need. In that way religion is experienced as a caring community, vibrant, as a way of life and not merely as church attendance on Sundays or the keeping of rules. Visit a Jewish home on a Friday evening or for their family celebration of Passover and you’ll experience something wonderful and know why the Jewish faith has survived even when their synagogues were destroyed during many pogroms over the centuries. Catechesis cannot be left to teachers or parish clergy; nor can it be left to the family. All three together have an important role to play. They do this by providing children and teenagers with experiences of God’s love mediated through the love of others for them and of a spiritual community which is life-giving and life-affirming, which brings joy and meaning to prayer and worship, a sense of the divine Presence within them and around them, concern for others and for nature, acceptance of who they are and relevance to the participants’ stage of spiritual development. First comes the experience! Start with the catechism and with Church doctrines, laws and regulations and the result will be a stunted growth in spirituality, boredom, gradual disillusionment and the eventual exit from the Church community by many. That exit is well under way in many parts of the world and none more so than Ireland. The cart has been put before the horse. There is an important role for doctrinal definitions and catechisms in underpinning faith, giving meaning to faith (St. Anselm’s famous dictum of theology being faith seeking understanding), establishing unity and identity, forming judgements and guiding actions. To dismiss all doctrinal truth would be to dismiss divine biblical revelation, much rabbinic and apostolic teaching and the Sacred Tradition of the Catholic Church since its birth. That sacred Tradition, built upon Hebrew Scripture and the faith of all believers channelled through Church Councils, is always evolving, as life-situations evolve, and must be given freedom to continue doing so under the guidance of the Holy Spirit. But it is not where one starts catechesis or evangelisation. First comes the experience! What must be avoided is the bureaucratic tendency to centralise and control by defining more and more infallible doctrines and increasing regulations. Over-prescription undermines the original vision of Jesus in His Sermon on the Mount and Parable of the Prodigal Son. It kills the essential freedom of ‘the children of God’. It can seriously restrict future generations and leaders from responding appropriately to new problems and unforeseen circumstances. Over-prescription is what the Jewish priesthood and religious establishment of Scribes and Pharisees did to the divine revelation of the Ten Commandments of the Covenant, summed up by Jesus in Matthew’s Gospel as Love God and Love One Another. The Jewish religious establishment expanded them into 613 rules and regulations to bring every aspect of Jewish life under their control, a top-down theology. This left unfulfilled their God-given vocation to be a divine presence and blessing to the whole world. The 1983 Catholic Code of Canon Law goes one better and has 1, 752 ‘regulations’. Few would define their family by its rules and regulations and how it was structured. They think of it mostly in terms of their lived experience within it. “I was loved and accepted for myself. It gave me life and freedom to develop.” Or “My family was dysfunctional, unloving and rejected me for what I am.” The Church is the family of God, a means of bringing about the universal Kingdom of God on earth. To do that it must be experienced by its members and the wider world as a community of unconditional love, acceptance, openness, justice and mercy. Then will the world experience the redeeming presence of God in its midst, reaching out in unconditional love, mercy and service to all of humanity. I just want to shout out a “HEAR, HEAR” to this! There is a huge onus on all of us to try to help create this experience for our young people. Yes, Mary. This is a brilliant and much-needed summary of the reason that we as church need to become a loving and welcoming community before we can effectively teach the Catechism. Properly understood, the Catechism is a summary of God’s loving revelation of Him/Herself, especially through Jesus. However, presented in an untimely or tedious way, it can also become a barrier and a guarantor of boredom. I use it as reference work as the need arises – not as the final and only word I need to consult. We need to know first what questions people have, before supposing that we have the answers. To dump a whole load of weighty theological facts on people, in the belief that this can deepen faith, is a huge mistake. On that theme of ‘Liberation’: from what does Aidan think people most need to be liberated today? For my money it would be the tendency to believe that our value depends upon what other people think of us, or may think of us. This leads to a futile search for a means of convincing ‘the world’ (our social envelope) that we have value. L’Oreal etc know this weakness well – and tell us that we become ‘worth it’ by buying their products. Another such futile search is via ‘social media’ and the Internet generally. The dangers, especially for the young and vulnerable, are obvious. So I believe we need especially to be liberated from the fear that our value is determined by society, and is therefore variable and questionable. Does that make any sense? Yes, a lack of self-esteem seems to be at the root of many people’s problems. A friend many years ago said she had been liberated from this problem, and many others, when Charismatic Renewal finally convinced her in her senior years that she was totally and unconditionally loved by God, no matter what she did or had done. It changed her whole life and brought her great peace and joy. So perhaps we should not focus on what we are liberated from as on what we are liberated into. St. Paul (Galatians 5:1) reminds us that Jesus the Christ has liberated us into freedom, a freedom that comes only from faith working through love (verse 5). So we have been liberated from guilt (Catholic guilt!) and blind obedience into the unconditional love of God, who knows us and loves us and forgives us infinitely more than we can do any of these things to ourselves. In return all He asks is that we love Him, love ourselves and love others with our whole being. In the Kingdom of Love, all are truly set free to be themselves and look ahead at the invitation of Jesus to keep on loving rather than backwards at our sins, failings and weaknesses. Unconditional love is neither sentimental nor easy. It costs dearly in terms of being taken for granted, misused, misunderstood and sometimes even rejected. In Jesus on the cross we see the ultimate price of His unconditional love, which provoked the religious and civil authorities of His time to condemn Him to death as He threatened their current power structures. The cross is not about appeasing an angry god. It is the sinful response of power structures at the top of society to the spread of compassionate love and justice at the bottom, a love and justice that seeks to set all people free. Thanks, Aidan – that’s great! That’s a way of thinking about Grace also – how it is ‘felt’: as joy and freedom to be ourselves. Overprescription? I understand what you mean by setting people free. Was Jesus set free? Or was the sin that it was done in vain? I think the taxation system he was obviously concerned about certainly grew and militarized even more and has become for the most powerful nations, their first area of acclimation. How is this dealt with in the Bible. Are we to expect a sudden massive change without notice as if we were all totally going to ascend at the same time? I have questions that need answering but I’m not exactly sure who to ask. Where was my authority again? Don’t ever question me for failing to file income taxes for 17 years. I think I might be on to something. Sean, as a retired school teacher you live by the Monbiot theory : Tell someone something they know, they’ll love you for it. Tell them something they don’t know, and they’ll hate you. As I see it, Jesus was entirely into changing hearts by appealing to people directly. He never said a word about the role of the state in building the kingdom of God- but did the ‘welfare state’ arise eventually out of Christian concern for the poor? Maybe you could go into politics, Lloyd Allan, and start evangelising from there? I honestly don’t see much point in long-distance fulmination against a problem I cannot myself directly grapple with – except by supporting progressive taxation, including maybe an automated flat rate tax on all financial transactions. As I see it, the focus of Aidan’s article is on how best to begin spreading the values of the kingdom. Those into wealth accumulation have no understanding of it, and have immense political clout. Jesus did not run after the rich young man, grab him by the throat, and shake him – presumably because he wanted to spend his time on ‘good soil’. That sounds like wisdom to me. No, not shake their throat but her certainly turned over a few tables in his day. I am in politics Sean. Every citizen of the world is whether they choose to believe it or not. Politics is nothing more than the battle to establish public opinion (mime) and I let my feelings known more than most. Rules are definitely safer than following the ways of Jesus, Patricia. I wonder if Jesus ever spoke these words : I honestly don’t see much point in long-distance fulmination against a problem I cannot myself directly grapple with. The problems he was addressing in society have spanned not only distance, but space and time itself…we are still addressing them to this day. Lloyd Allan,I’ll be better able to attempt an answer to your concerns within the context of my article if you can explain a little further about how you see their relevance to particular parts of the article or to its overall sense and direction. That will avoid the discussion going too far off on a tangent. For example, which particular parts of the article do you see as connected to your particular concerns about the payment of income tax? It may be that, on reflection, you feel your valid concerns would be better addressed elsewhere. That is fine and no offence will be taken. Do you know what it’s like to call Revenue Canada after having been absent from filing taxes with the for 17 years? It was amazing. The first question I asked the agent was : As a civil servant, do you support that 85 people now own as much wealth as the bottom 50% of the population? Illuminated? : produced, written, filmed, edited, marketed. books. The Catechist’s guides, produced by Salford Diocese are a delight to use and the children have fun learning. Patricia, that is a wise decision by your new Bishop. I always felt that the practice of administering the sacrament of Confirmation to young children of primary school age, so as to ‘get them’ before they lapse (as a Bishop put it to me) was a weak one. I’m aware that some parts of the world confirm at the same time as baptising. However, on the argument that part of the sacrament of Confirmation is about saying a personal ‘yes’ to what has already been given in Baptism at a very young age (entry to the community of Jesus the Christ and the gift of His Holy Spirit to guide and strengthen one’s work for the Kingdom of God),when parents spoke on one’s behalf, it would seem to me that Confirmation is best given when a person is totally free and mature enough to say a personal ‘yes’ or ‘no’ and with full understanding of the important commitment they are being asked to make. Coerced Christians are not what Jesus came to invite as co-workers into His Kingdom. It goes against the concept of ‘the freedom of the children of God’. It is great that children are experiencing the joy you mention in their primary school religious education lessons.I trust that the same can be said of their parish Sunday Eucharist and para-liturgies celebrated by mums and dads in the home, with their children around them joyfully and creatively participating. 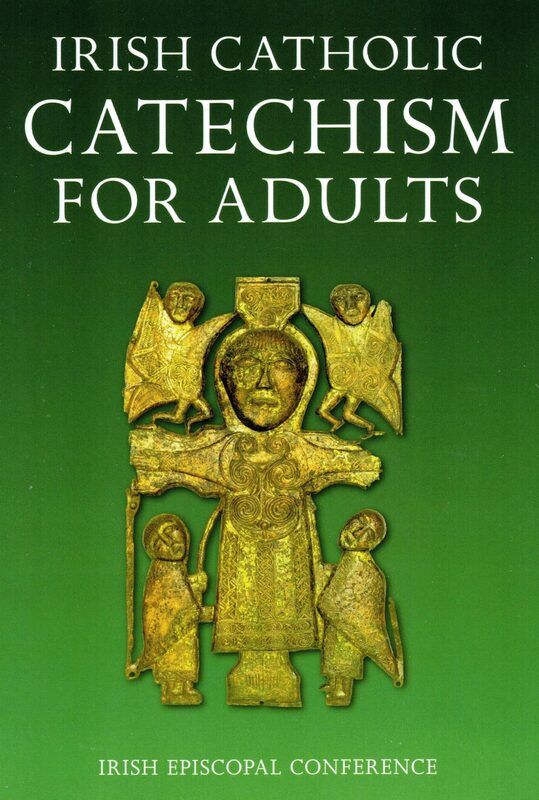 The desire for catechism that some in your parish want perhaps illustrates a need for ongoing adult religious education or evangelisation in the parish.I would hope that such parish-based programmes would include courses on the Bible, done within an ethos of prayer. This will support a deeper understanding of the readings and psalms at Mass and encourage a scriptural spirituality among Catholics. Lectio Divina is a great example of this. Thanks for your article.I read it a few times.Apart from the sound theological approach,I especially enjoied your catechetical observation about the emphasis on the Experience of God´s Love coming to us through our parents,and friends etc.You are on the samewavelength as Pope Francis who emphasizes above all doctrine and regulations God´s mercy.Congratulations with such dedicated persons as yourself.The photo of your presence in Karamoja,uganda speaks for itself. As a cradle Catholic who eventually had a sort of conversion, my new confidence in Catholicism centred on a conviction that Catholicism is “where it’s at” in terms of the reality of being, as a way of life based on belief in God, a rational decision inspired by a particular pope. Reaching a conviction, however limited, regarding the love of God took time, including the hump of repentance, which of course involved the commandments or catechism. In this regard I find it interesting that the twin objective of the Sovereign Military Order of Malta, (in the news) has a twofold purpose: the defence of the faith, and the care of the poor. Everything we have, including our introduction to the faith is a gift arising from God’s love for us. But to say that awareness of this precedes knowledge of the commandments is not empirically true. Prodigal Son, you are right. They are not discrete. I argued that in the article, outlining the need for dogmas and catechisms. It is a question of timing, of when or at what age to introduce dogmas and the appropriate catechism. I argue against starting the process of catechesis and evangelisation with dogmas and catechisms. These latter should rather build upon children’s joyful and creative participation in a range of religious activities and especially upon their experience of a loving home and a home that reaches out in loving service to the poor and suffering. Then, when they hear about the love of God for them they can relate that term ‘love’ to what they are already experiencing on a human level at home and in the parish community. 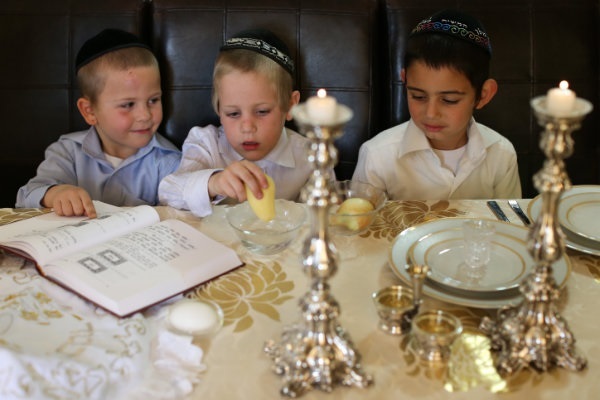 That is why para-liturgies in the home, in which children and parents can joyfully and appropriately participate together, are so important, although currently rare among Catholics who perhaps have yet to discover their Jewish roots. Many older Catholics have come through the catechism route and have long had a deep, loving relationship with God. I would argue that their loving relationship with God developed almost in spite of the inadequate religious education of their childhood and teenage years from home, school and parish. Many more Catholics – figures for the northern hemisphere would indicate over 60% – who experienced that route have walked away. So something has gone seriously wrong! They have been under evangelised and over sacramentalised in services they don’t understand and where lack of appropriate, active involvement by the laity and effective outreach to others in the community have left them bored and regarding religion as irrelevant to their lives. Christianity hasn’t touched their souls and challenged their youthful enthusiasm. After reading the article, an elderly priest-friend emailed me recently to say that his preference was for the sacraments of initiation (Baptism and Confirmation) to be given to the baby together. He mentioned that Confirmation administered at a later stage (i.e. primary school or lower secondary school age) was often termed ‘the sacrament of exit’ (from the Catholic Church)! Anyone got any views on that; on Confirmation being administered to the baby at the time of Baptism? Is it a good idea? Patricia’s Bishop was putting it later (Reply Above)! I fear that this priest friend fails to understand that our present system of confining the three sacraments of initiation to the individual’s minority – before any adult decision to opt in is possible – belongs to Christendom and is dying with it. “They took us for granted!” that is my second son’s verdict on this system – which led him to opt out and to still have no interest in opting in. We are still lumbered with the KIFO fallacy, another albatross of Christendom – the notion that if ‘facts about God’ are somehow pumped into the mind of the child, faith will result. (Knowledge In, Faith Out). This never was true, because an adult faith takes time to develop, and, to be really deep, must experience radical doubt. There was never an episode of child baptism in the Gospels, nor an episode in which Jesus instructs children. The ‘childifying’ of Christian knowledge has been a disaster – and so are the lack of an adult rite or sacrament of initiation, and the poverty of our adult education system. On what grounds or evidence does this priest conclude that to time Confirmation at the time of child baptism will ensure that this child won’t opt out even more quickly? 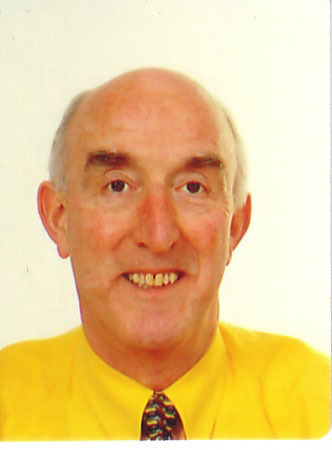 Bishop Leahy in Limerick is going in completely the opposite direction – by opting for a delaying of Confirmation until 15 or 16. That’s the way to go – but for me, our problems of defection will continue until some version of the RCIA (Rite of Christian Initiation of Adults) is a requirement for the initiation of ALL Catholics, even those baptised in childhood. I agree fully with you soconaill. I think our Catholic view of the two sacraments of Baptism and Confirmation is hung-up on an over-literal and mechanistic understanding of two Bible passages which seem to paint a different picture. Peter, in Acts 2:38 sees Baptism as including the gift of the Holy Spirit. Acts 8:17, on the other hand, talks about the converts being baptised ‘only in the name of Jesus’ and then the Apostles laid hands on them (to confer the gift of the Holy Spirit). The Catholic service of Baptism clearly indicates that, through the sacrament, the gift of the Holy Spirit is bestowed on the recipient. It never says or implies that the child is being baptised ‘only in the name of Jesus’, which therefore excludes the gift of the Holy Spirit, which will come later at Confirmation, as if that were possible. That would align our present administration of the sacrament of Baptism with Acts 2.38, where Baptism is clearly seen by Peter as including the gift of the Holy Spirit. Since it seems meaningless and almost sacrilegious to talk about a partial amount of the Holy Spirit being bestowed, then Baptism must bestow the fullness of the Holy Spirit, with all His/Her gifts. That being so, what then does Confirmation additionally bestow with regard to the Holy Spirit? I think that is the nub of the problem. Confirmation doesn’t bestow ‘an additional amount of the Holy Spirit’ but rather asks the recipient of that sacrament to respond to the invitation of the Holy Spirit to ‘confirm’ that he or she, in the freedom and informed wisdom of adulthood (informed through their experience of God’s love through home and parish community and good catechetical teaching & RCIA), accepts what was done for them while a baby by their parents. With this understanding, Confirmation is the sacrament of “Confirming, in the Power of the Holy Spirit, My Commitment to God, His Kingdom and To Membership of His Community (the Church)”. The activity of God through this sacrament is to give me the gift of adult faith and the strength of His indwelling Spirit, which enables me to confirm this adult commitment for the rest of my life and to live out that commitment daily, in how I freely choose to live my life in obedience to, and loving service of, God and loving service to others. For a variety of reasons a person may choose not to make that commitment to His Community. However, they will still have the presence of the Holy Spirit within them, continuing to guide and strengthen them to help build God’s Kingdom on earth and eventually arrive at His Kingdom in Paradise, but without the support of His Community, the Church. That support should be doing what Jesus the Christ meant it to be doing by preparing all its members to work tirelessly for the establishment on earth of the Kingdom of God through obedience and loving servanthood. When it fails to do that many of its members, unfortunately – although understandably – see no point in remaining within it.